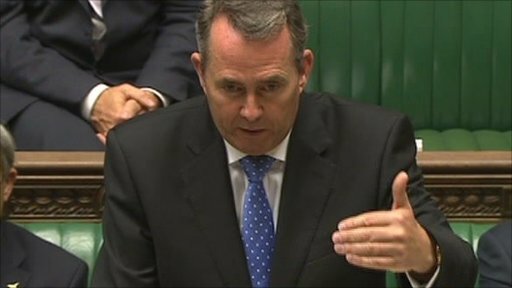 LIAM Fox’s hopes of a swift Cabinet comeback have been dealt a heavy blow by an official report into his relationship with his Best Man. A top-level probe delivered a damning verdict on his conduct – finding him guilty of multiple breaches of the ministerial code. Cabinet secretary Sir Gus O’Donnell’s inquiry found Dr Fox ignored warnings from senior officials about his friendship with ex-flatmate Adam Werritty. He concludes the minister put his own security at risk – and that of senior military aides – by giving his chum access to his diary. Dr Fox, 50, quit on Friday after admitting a “blurring” of lines between his professional life and personal loyalty to a friend. Mr Werritty posed as an unofficial adviser, handing out businesss cards and accompanying the minister on 18 overseas trips in 16 months, despite having no MoD clearance. But today’s report failed to quell demands for answers to a welter of questions about 34-year-old Mr Werritty’s role. In his report Sir Gus said: “Dr Fox’s actions clearly constitute a breach of the ministerial code which Dr Fox has already acknowledged. – Dr Fox’s behaviour fell short of the standards of conduct required by the ministerial code. – His close links with Mr Werritty, particularly the use of business cards, gave the false impression he represented the British government. – The minister had kept MoD officials at bay for two pre-arranged meetings attended by his pal. He recommended tightening of the rules governing links between ministers and civil servants. But it is unlikely that falling on his sword will kill off the controversy, with Labour still demanding further disclosures. Shadow defence secretary Jim Murphy said the report only “scratches the surface” of the potential breaches. He declared: “A ten-page report into 18 months of wrongdoing is a superficial and narrow way for the government to deal with such a deep problem. In the past, talented ministers have returned to government after serving a period of penance on the back benches. With this row likely to run and run, Dr Fox could be forced to wait quite some time. 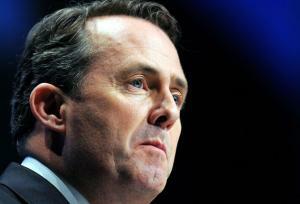 LIAM Fox gave his stalkers the slip today – but he’s not out of the woods yet. The Defence Secretary left a string of questions unanswered in a statement to MPs about his relationship with his Best Man. 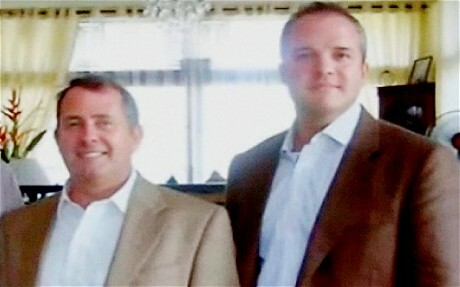 Dr Fox (pictured left) revealed close chum Adam Werritty had linked up with him 40 times on overseas trips and at the MoD – but pledged it won’t happen again. He admitted it had been a mistake to allow the lines between professional duties and personal loyalties to become “blurred”. But he failed to explain why he apparently ignored warnings from military top brass over his “improper” dealings with 34-year-old Mr Werritty. Nor did he reveal whether his former rent-free flatmate made any financial gain from acting as a self-styled unofficial adviser. Dr Fox now faces an extended inquiry by Cabinet Secretary Sir Gus O’Donnell, which will report within a fortnight. But the pressure will continue to mount in the days ahead as Labour turns up the heat. They are likely to focus on a controversial meeting Dr Fox and his pal had with a military equipment salesman in Dubai last June. Labour accused Dr Fox of “driving a coach and horses through the ministerial code” – and identified at least six breaches. Shadow defence secretary Jim Murphy said: “We may never know what got the Secretary of State into this mess – arrogance, naivety or hubris. Premier David Cameron said he will not make a final decision on the minister’s future until he has seen the full report on the case. He is no doubt hoping the storm will blow over by then – but if it gets worse he risks looking indecisive. In his Commons statement, Dr Fox admitted Mr Werritty – who is not a government official and had no security clearance – had accompanied him on foreign trips and been inside the MoD on numerous occasions. He met him 18 times on overseas trips and on 22 occasions at the Ministry of Defence in the past 16 months. Dr Fox insisted his pal received no payment for fixing and attending a controversial meeting with a defence equipment trader inDubaiin June. He told MPs: “Mr Werritty was never present at regular departmental meetings. During private meetings we did not discuss either commercial or defence matters.